Step 1: The napkin that we used had a very beautiful and defined edge. We didn't want to stencil over it but we also didn't want the pattern to stop at the edge. In order to keep the pattern continuous, we covered the edge with masking tape this way we were able to paint the pattern without getting paint on the edge. 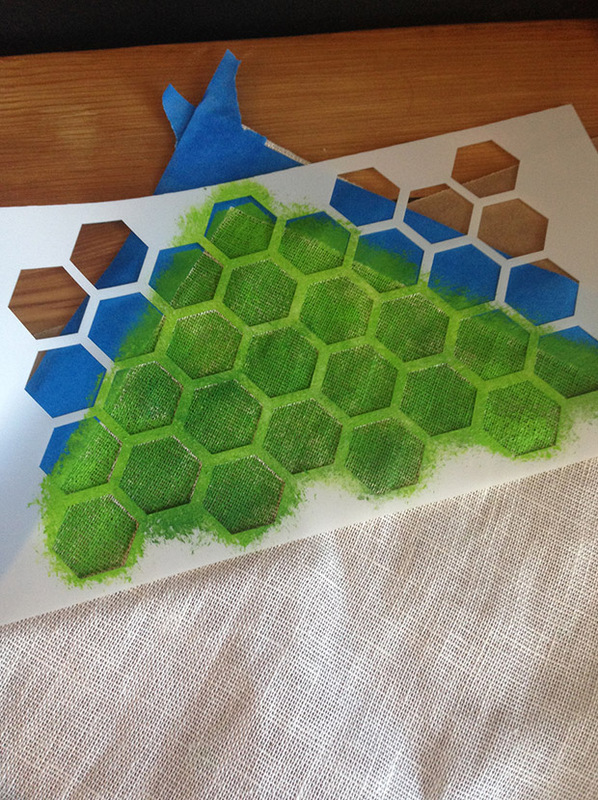 Step 2: Use the low tack spray adhesive to make the back of your stencil sticky. 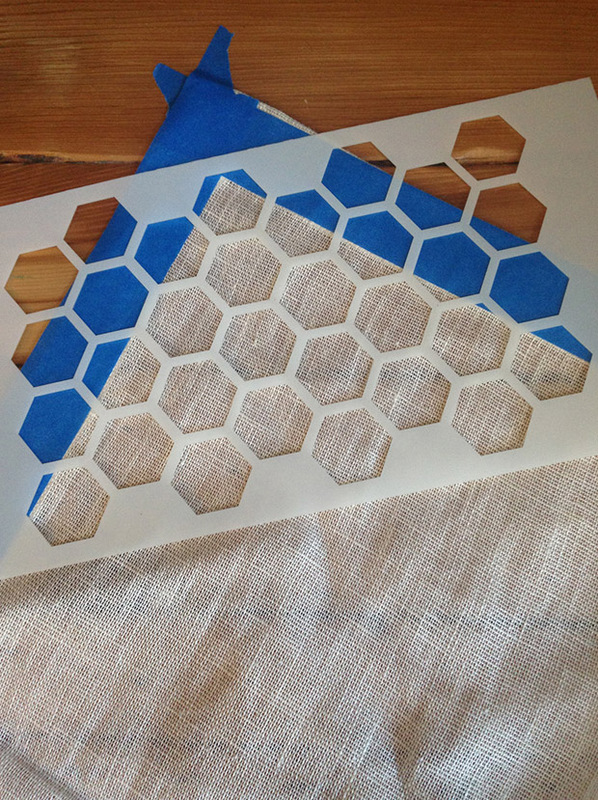 This is helpful when stenciling on fabric because it keeps your stencil in place and allows for a cleaner look. 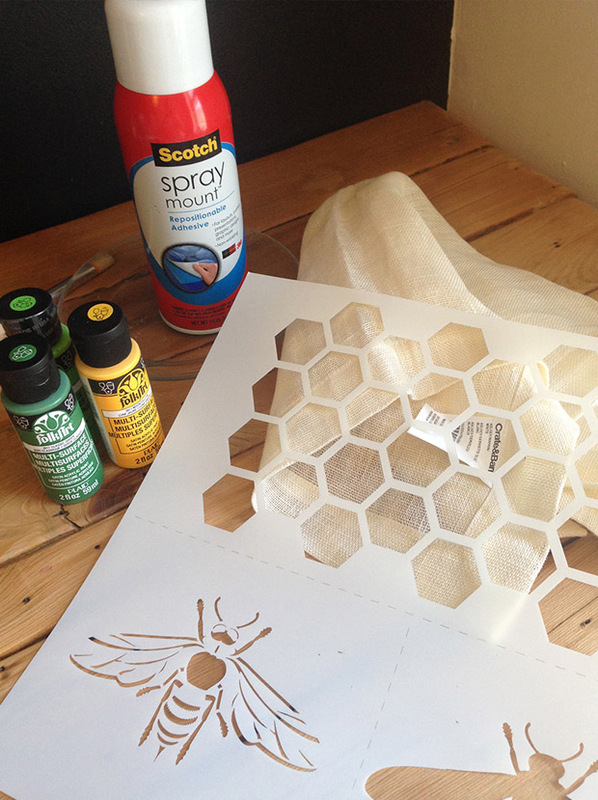 Step 6: Once you’re done with the pattern, add a finishing touch with the bee stencil. 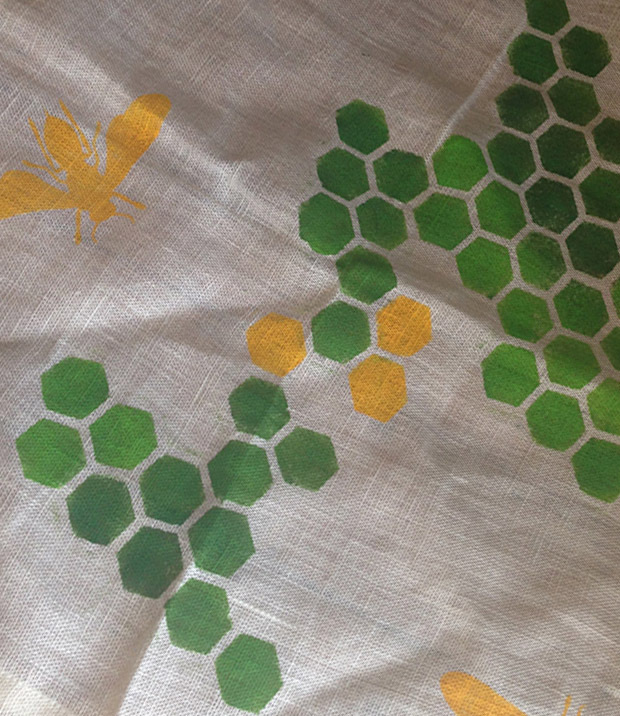 We decided to use the first layer of the stencil only because we liked how it looked with the geometric pattern we created on the napkin and silhouettes are so modern. 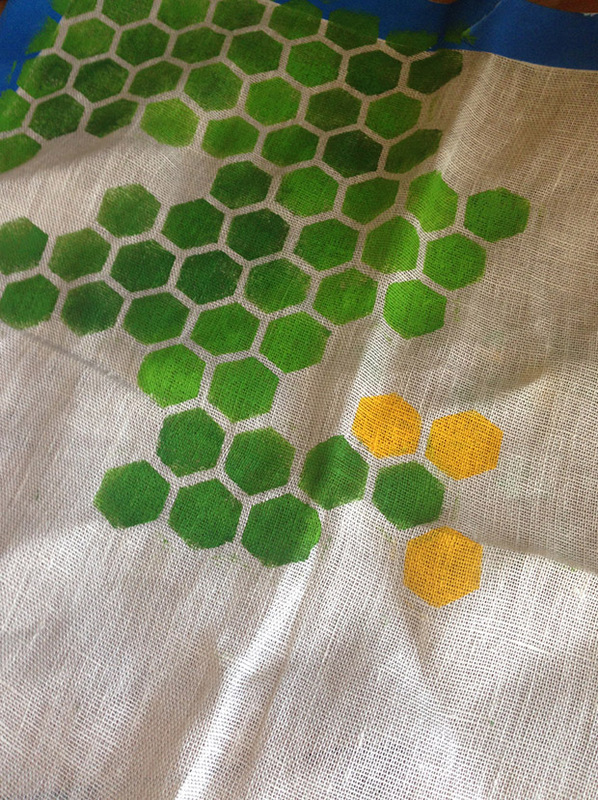 Step 7: Heat seal your napkin with an iron once the paint is dry. 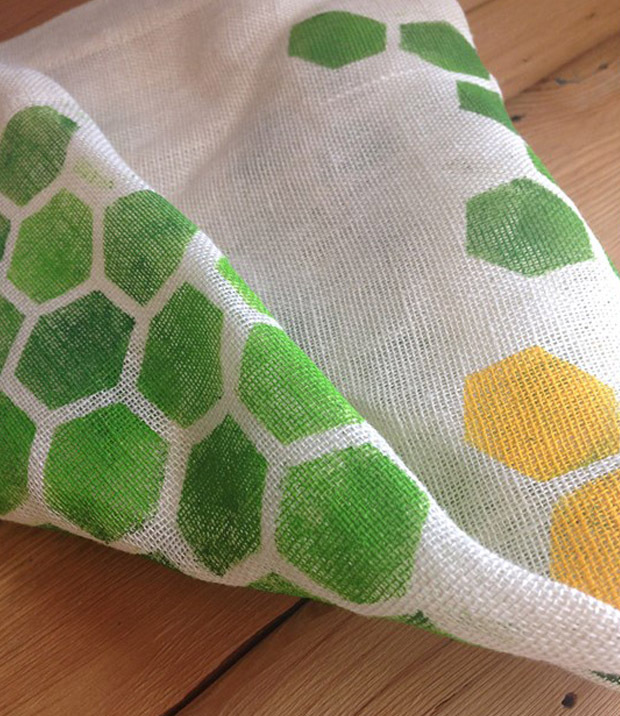 This napkin could be used as a centerpiece, a table runner or anything that needs a little spring.